With talks between Greece and its creditors expected to go mostly nowhere in Riga later this week, and with speculation about an energy deal between Athens and Gazprom looking less like speculation and more like reality with each passing day, we’ve suggested that it’s only a matter of time before Russia officially becomes Greece’s White Knight by providing a cash advance on the gas deal. Greece has recently taken to seizing local government cash reserves to pay the bills (including pensions and salaries) and with the ECB reportedly considering 50% haircuts on collateral pledged for ELA by Greek banks (the same Greek banks which FinMin Varoufakis said yesterday were “adequately capitalized”), Athens could sure use the cash, and as we enjoy pointing out, it’s an all-around win for the Kremlin as cash given to Greece will be used to make debt payments to the IMF which is set to deliver a €2 billion tranche of aid to Kiev in June, and that bailout funding will promptly be funneled right back to Russia via payments to Gazprom. None of this is good news for Europe as grappling with a Grexit (and any redenomination risk-fueled contagion that goes along with it) while simultaneously having to swallow a Russian pivot by Athens is a decisively undesirable outcome to the whole debacle, and so, as previewed here on Monday, Europe is going the spite route by filing antitrust charges against Gazprom. “All companies that operate in the European market — no matter if they are European or not — have to play by our EU rules,” the bloc’s antitrust chief Margrethe Vestager said in a statement. The Gazprom investigation, which began 2½ years ago, had been moving toward a settlement early last year, but stalled after Russia’s annexation of Crimea in March last year. EU officials had worried that filing charges against the Russian company would be interpreted by the Kremlin as a political act. In a statement Wednesday, the EU said it had reached the preliminary view that Gazprom was hindering competition in the gas-supply markets in eight EU countries-—Bulgaria, the Czech Republic, Estonia, Hungary, Latvia, Lithuania, Poland and Slovakia. Gazprom “may have built artificial barriers preventing gas from flowing from certain Central Eastern European countries to others, hindering cross-border competition,” Ms. Vestager said. Settlement talks with Gazprom froze as tensions escalated over Russia’s actions in Ukraine, where it annexed the Crimea region and was accused of supporting an insurgency that’s threatened to split the country apart. Power politics seeped into the case from the start after Russian President Vladimir Putin signed a decree giving the government the right to protect Gazprom from EU inquiries. 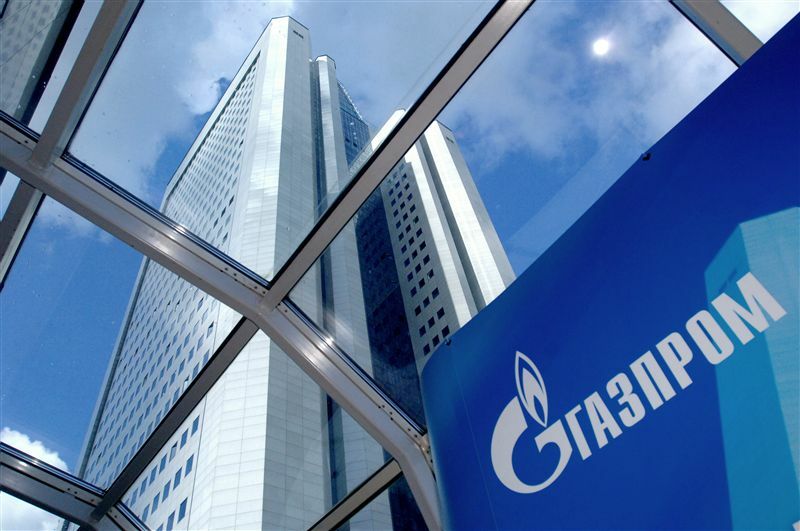 The statement of objections accuses Moscow-based Gazprom, which supplies more than a quarter of the bloc’s natural gas, of pursuing an unfair pricing policy in Bulgaria, Estonia, Latvia, Lithuania and Poland. The commission said the territorial restrictions imposed by Gazprom may result in wholesalers facing prices that are significantly higher than the company’s costs or benchmark rates. These unfair prices result partly from Gazprom’s price formulas that index gas prices in supply contracts to a basket of oil product prices and have unduly favored Gazprom over its customers, the EU said. Gazprom responded by saying the complaint isn’t final and that it expected there’d be a solution with the help of Russian government. “The case is definitely political,” said Alexander Kornilov, a senior oil and gas analyst at Alfa-Bank in Moscow. He estimates a potential fine at as much as $840 million. On the basis of its investigation, the Commission’s preliminary view is that Gazprom is breaking EU antitrust rules by pursuing an overall strategy to partition Central and Eastern European gas markets, for example by reducing its customers’ ability to resell the gas cross-border. This may have enabled Gazprom to charge unfair prices in certain Member States. Gazprom may also have abused its dominant market position by making the supply of gas dependent on obtaining unrelated commitments from wholesalers concerning gas transport infrastructure. Gazprom now has 12 weeks to reply to the Statement of Objections and can also request an oral hearing to present its arguments. The Commission will fully respect Gazprom’s rights of defense and carefully consider its comments before taking a decision. Sending a Statement of Objections does not prejudge the final outcome of the investigation. EU Commissioner in charge of competition policy Margrethe Vestager said: “Gas is an essential commodity in our daily life: it heats our homes, we use it for cooking and to produce electricity. Maintaining fair competition in European gas markets is therefore of utmost importance. These territorial restrictions may result in higher gas prices and allow Gazprom to pursue an unfair pricing policy in five Member States (Bulgaria, Estonia, Latvia, Lithuania and Poland), charging prices to wholesalers that are significantly higher compared to Gazprom’s costs or to benchmark prices. These unfair prices result partly from Gazprom’s price formulae that index gas prices in supply contracts to a basket of oil product prices and have unduly favoured Gazprom over its customers. Gazprom may be leveraging its dominant market position by making gas supplies to Bulgaria andPoland conditional on obtaining unrelated commitments from wholesalers concerning gas transport infrastructure. For example, gas supplies were made dependent on investments in a pipeline project promoted by Gazprom or acceptingGazprom reinforcing its control over a pipeline. The Commission’s provisional findings are that these practices constitute an abuse of Gazprom’s dominant market position prohibited by Article 102 of the Treaty on the Functioning of the European Union (TFEU). Such behaviour, if confirmed, impedes the cross-border sale of gas within the Single Market thus lowering the liquidity and efficiency of gas markets. It raises artificial barriers to trade between Member States and results in higher gas prices.